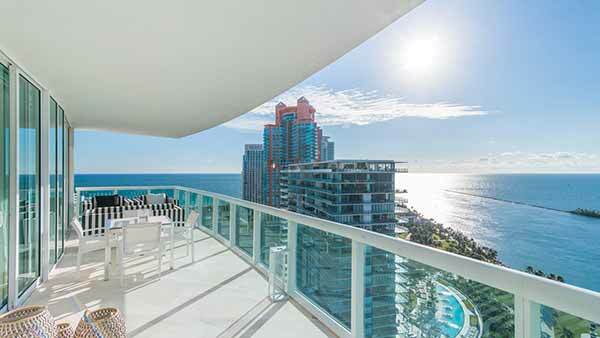 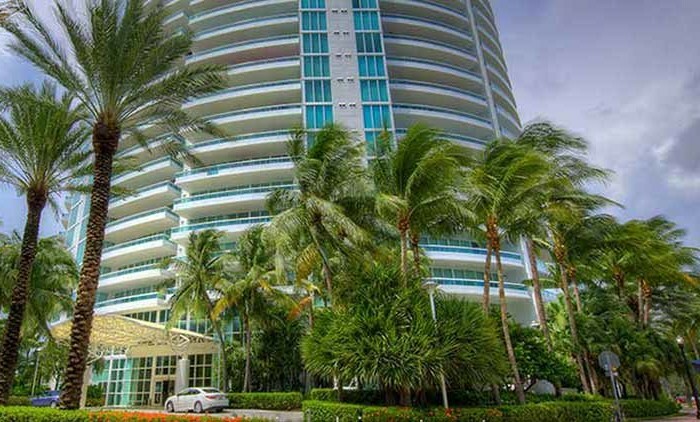 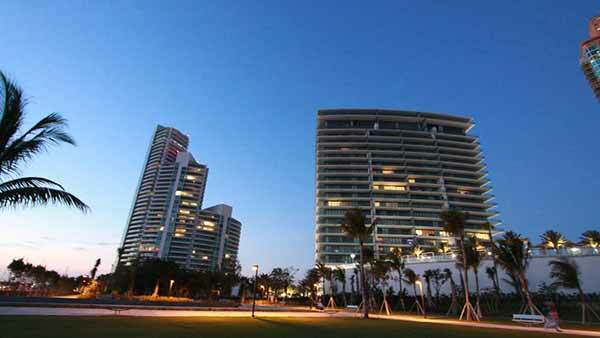 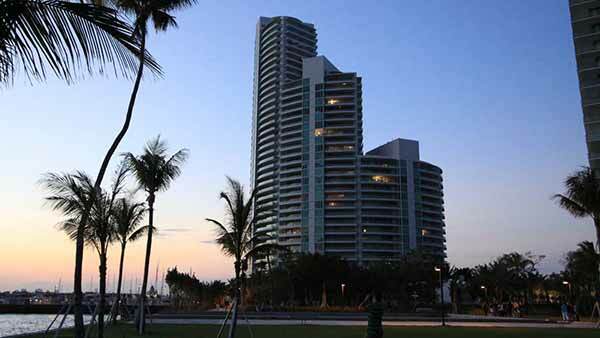 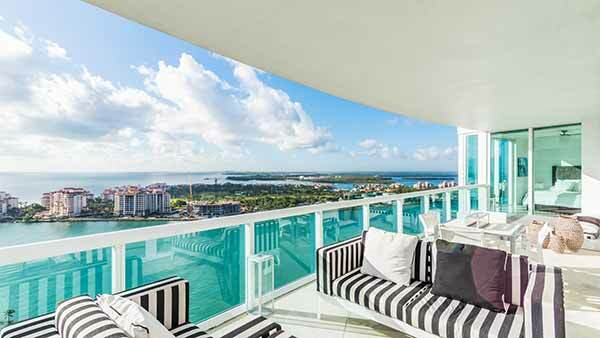 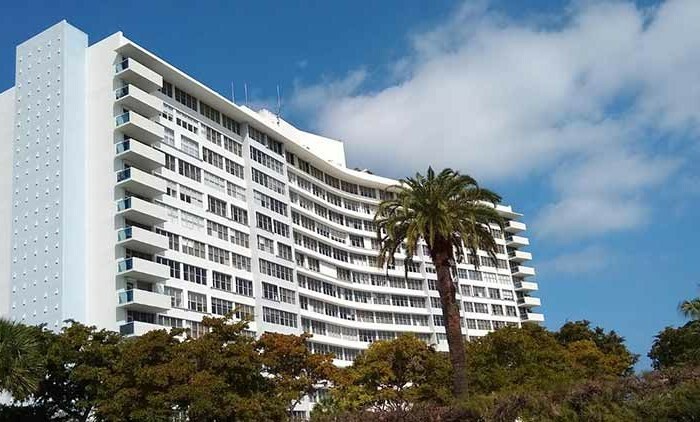 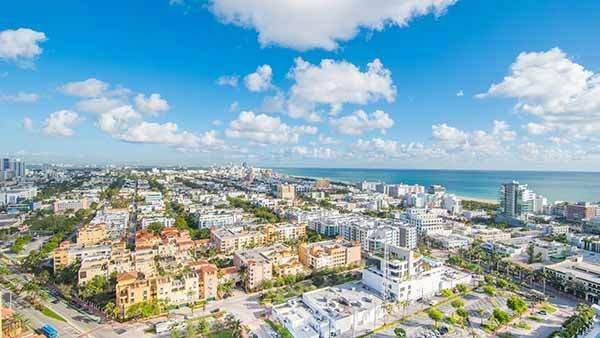 Not only does it feature unique and beautiful architecture, landscaping and location but it delivers it all in haute-couture style as befits the residents of the hottest South Beach Condos. 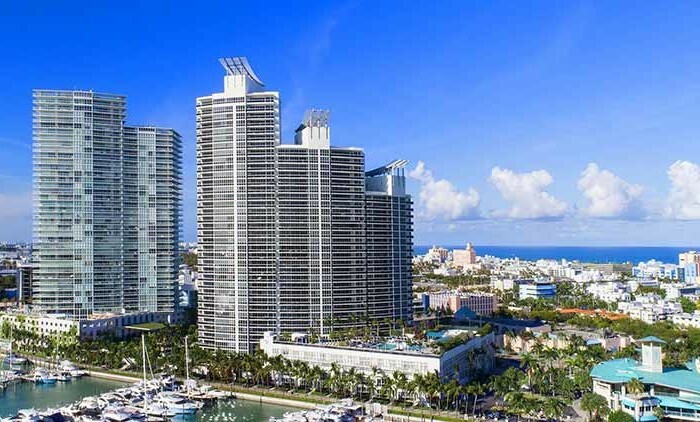 With a location on the southernmost tip of South Beach providing stunning views of the Atlantic Ocean, Fisher Island, Biscayne Bay, Miami Harbor, and downtown Miami you just cannot find a building that outshines the Murano at Portofino. 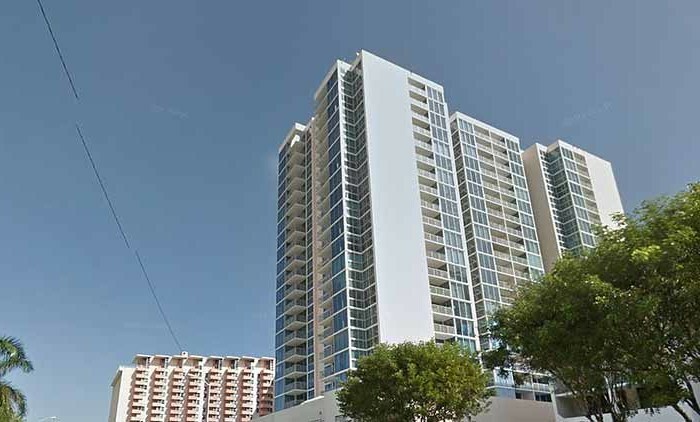 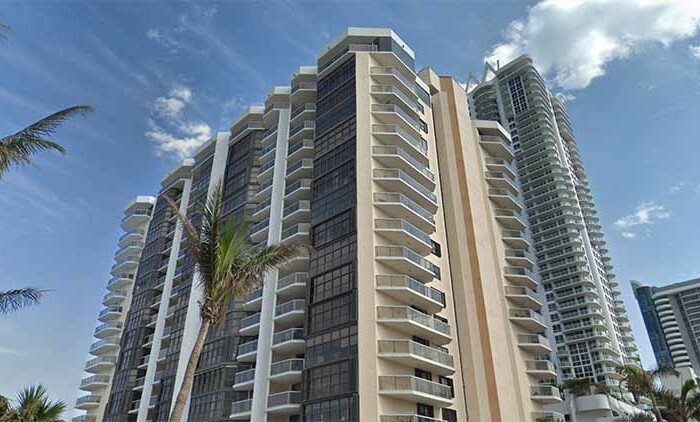 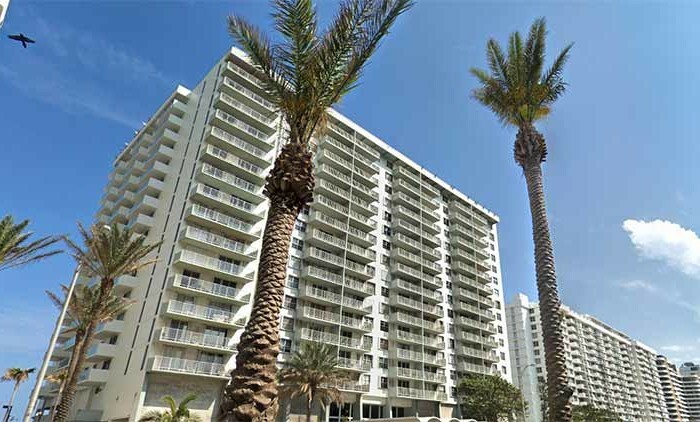 Marina access is just outside the door with South Beach Marina located just off the Murano at Portofino South Beach condo. 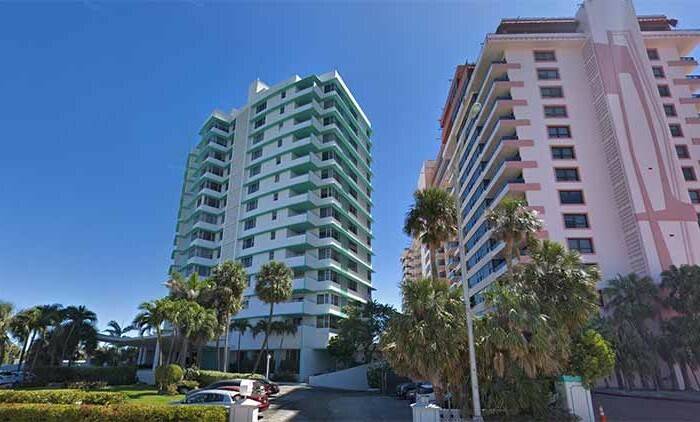 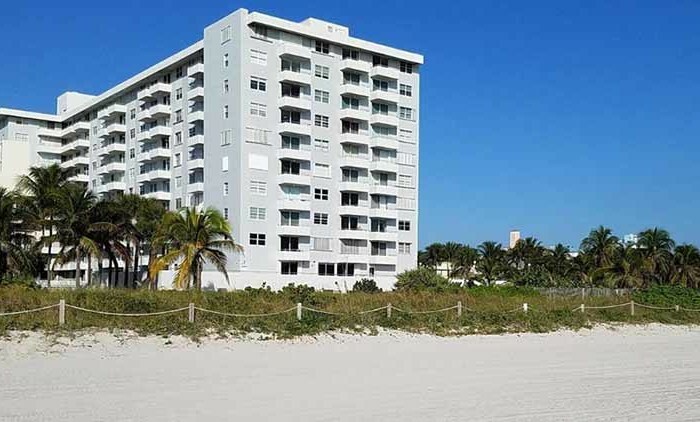 Only two blocks away is the South Pointe Park with a boardwalk leading to South Beach proper – white sands are just moments away from your Murano at Portofino South Beach condo. 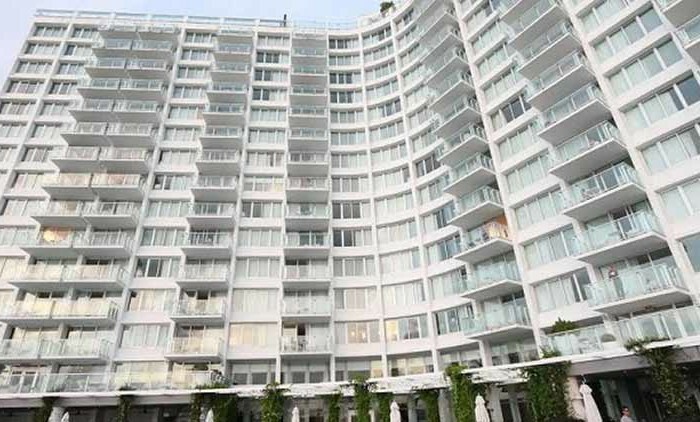 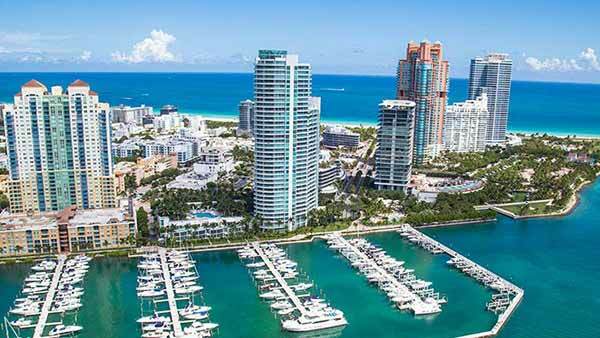 As if this is not enough do not forget the SoFi location – ‘South of Fifth’, the hottest neighborhood on ultra-exclusive South Beach. 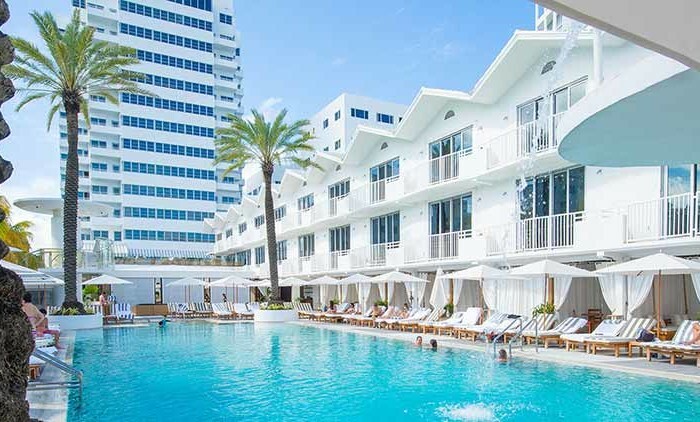 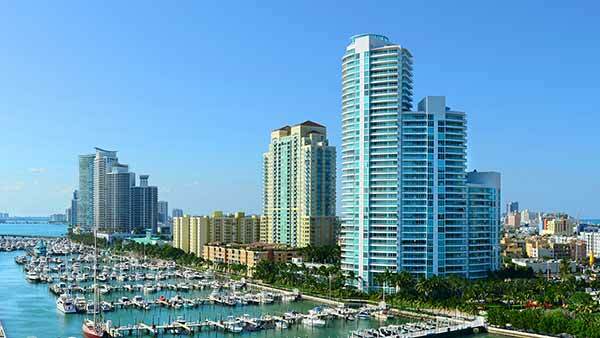 Within minutes you can enjoy the finest dining and shopping experiences available anywhere in the world or go to one of the ultra-posh clubs that Miami is so famous for. 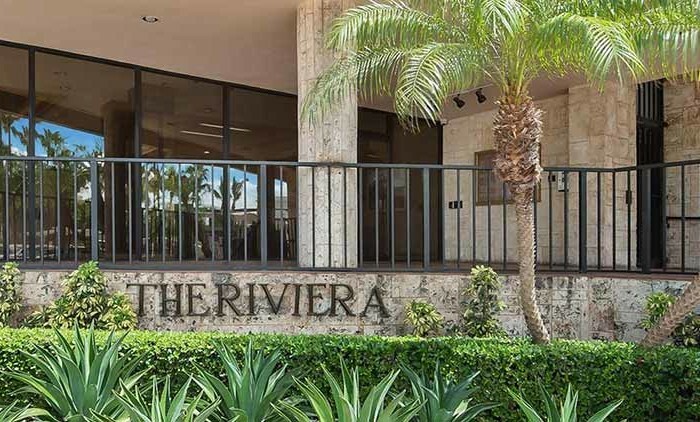 From the moment you pull up to the gorgeous porte-cochere entrance and flip your keys to the twenty-four hour valet there will be no doubt that you have arrived, and in style. 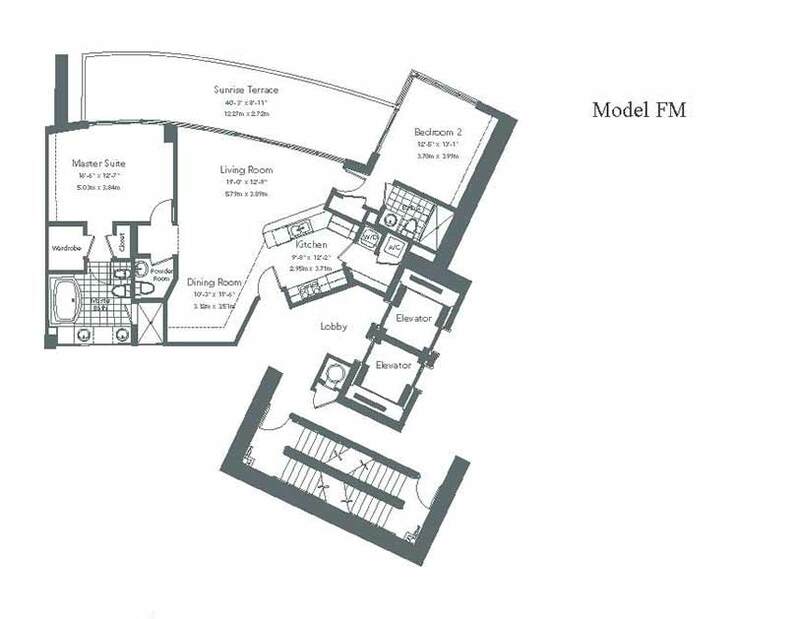 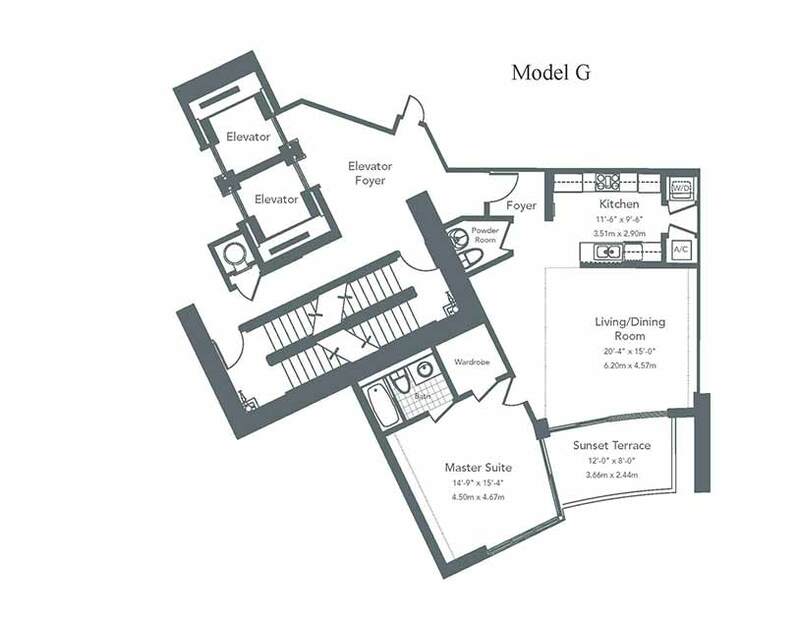 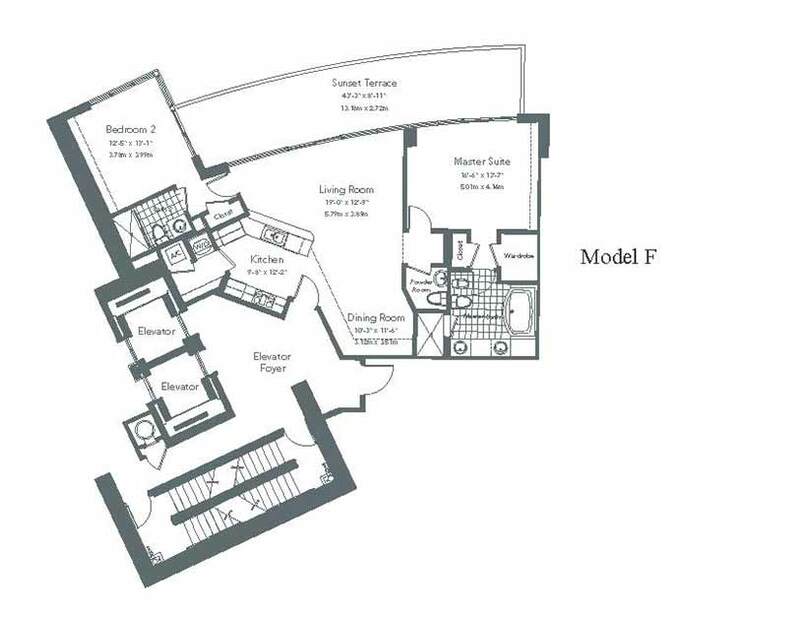 A stunning lobby staffed round-the-clock with concierge and security staff lead to semi-private high-speed elevators. 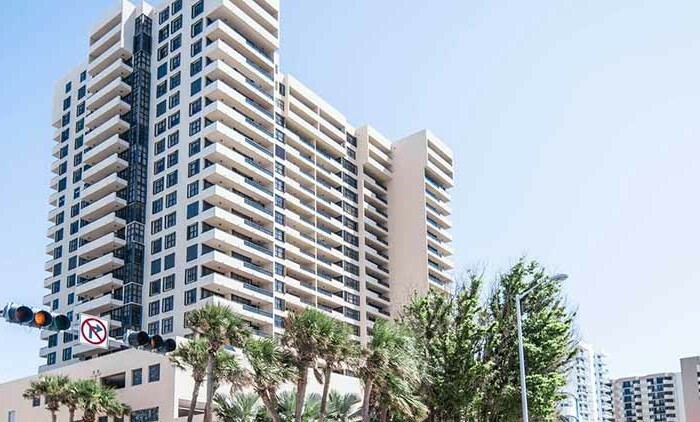 Step out into a private entrance leading to your new Murano at Portofino South Beach condo, open the door and prepare to let your jaw drop as the stunning view afforded by the full, floor-to-ceiling glass hits you. 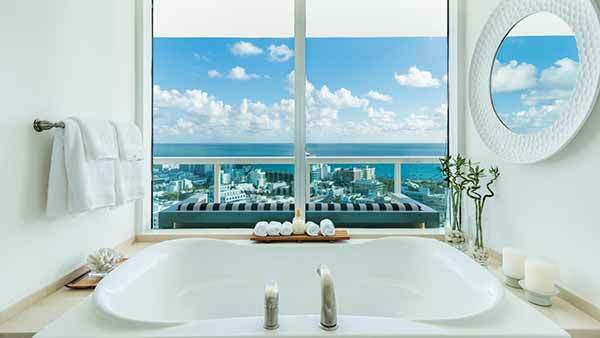 Stunning views. 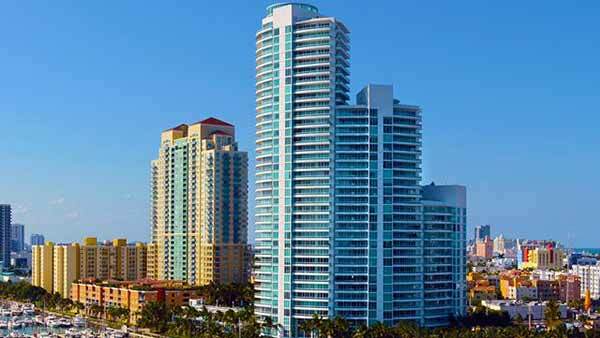 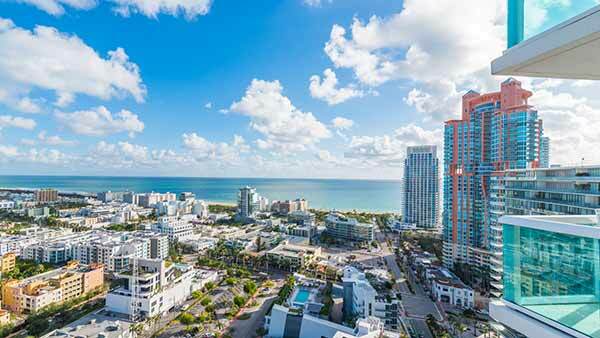 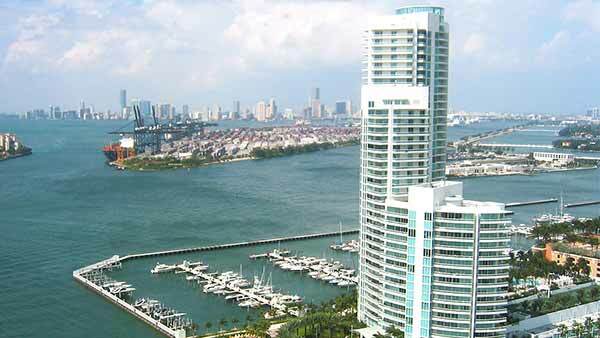 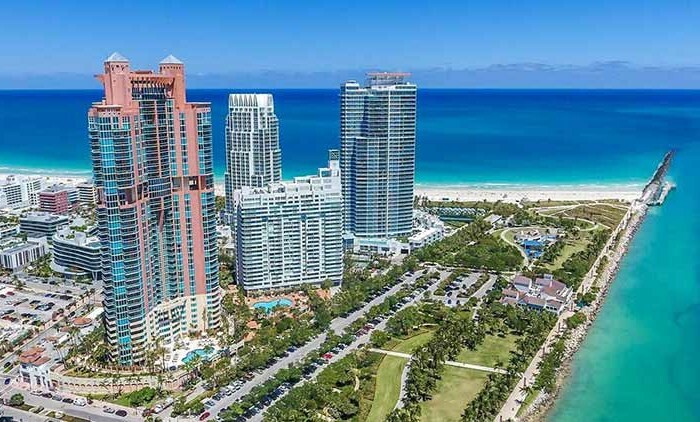 Sweep your eyes from the Atlantic Ocean to Fisher Island and over to downtown Miami – rarely can one take in such a vast expanse of the variegated Miami skyline but the Murano at Portofino South Beach condos enjoy this every day. 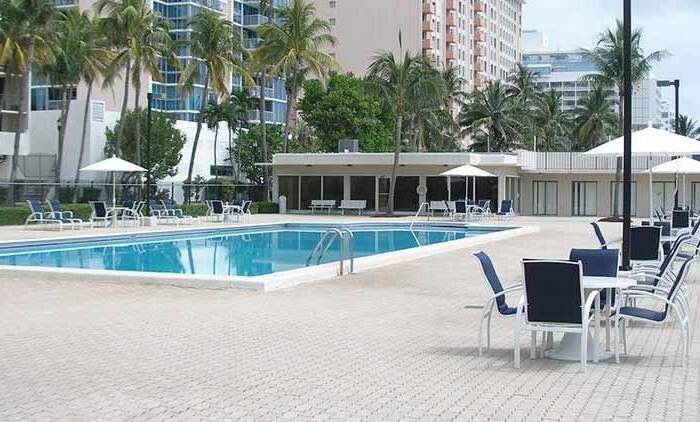 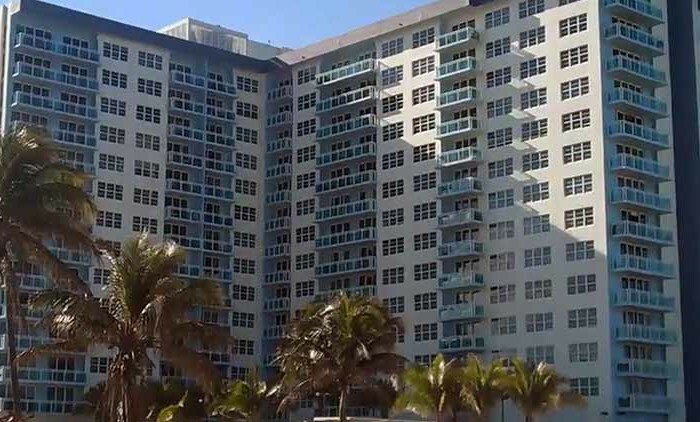 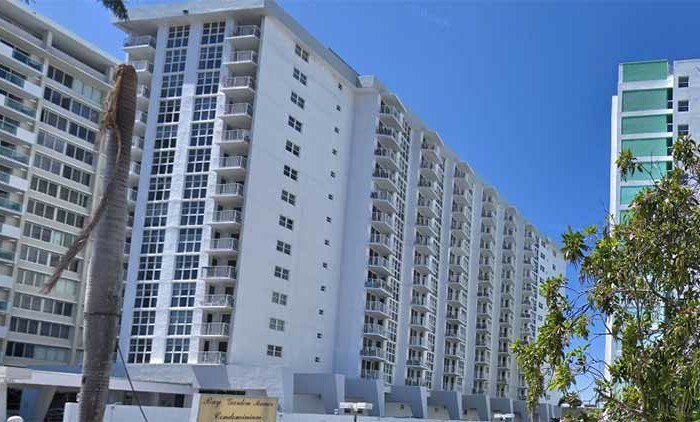 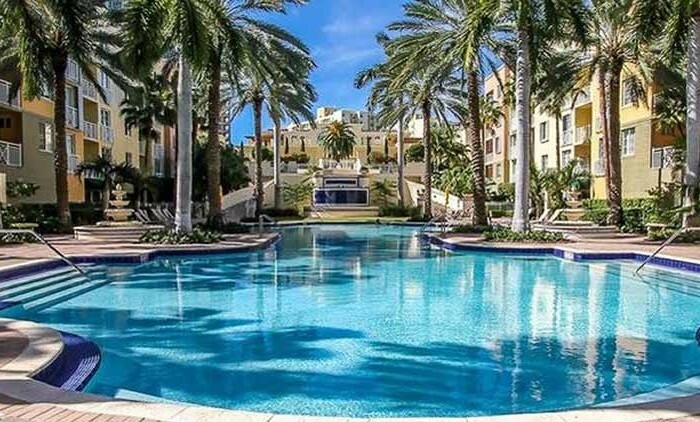 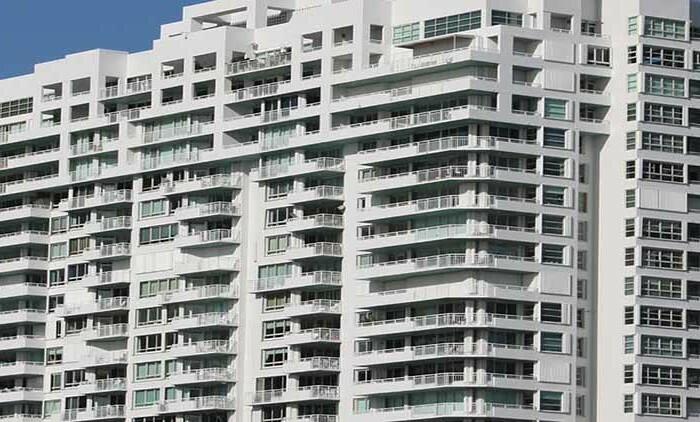 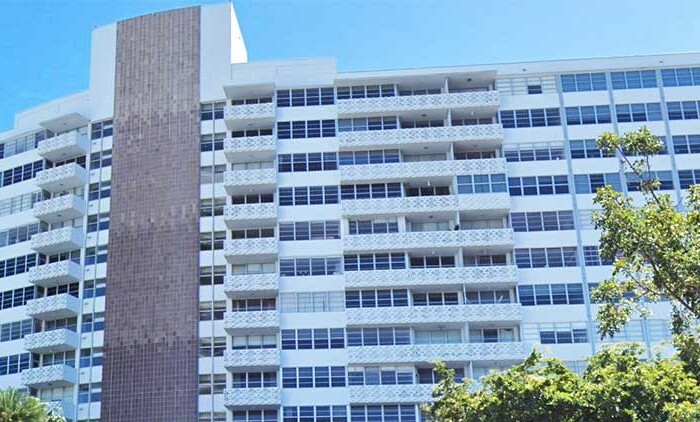 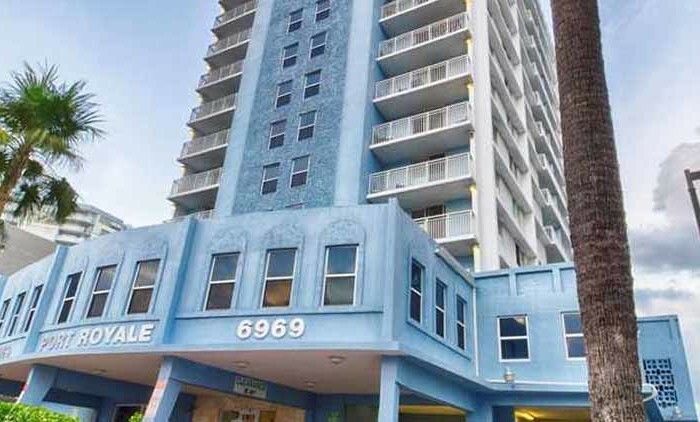 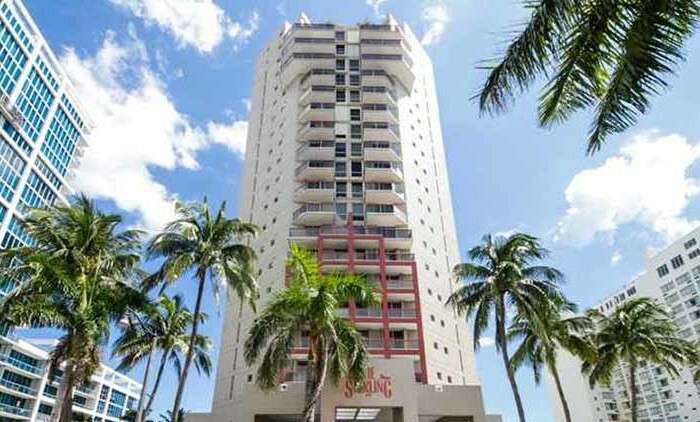 All units in this Miami Beach real estate are finished to the highest standard with all of the luxury touches you expect, from stainless appliances in the kitchen to marble countertops in the bathrooms. 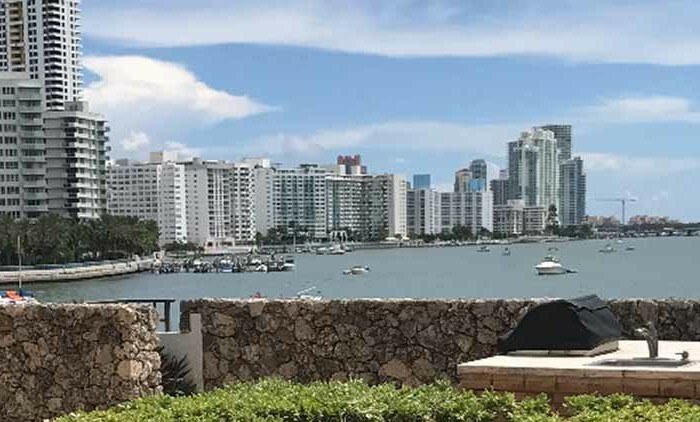 Terraces are large and feature glass railings to allow unobstructed views either from outside or through the floor-to-ceiling glass from inside your climate-controlled home. 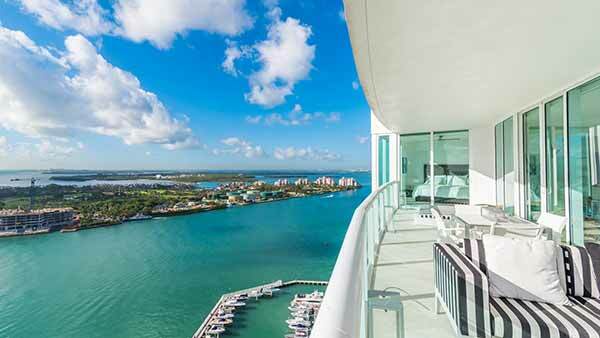 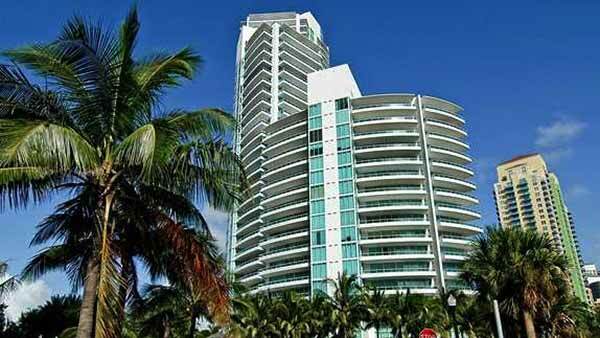 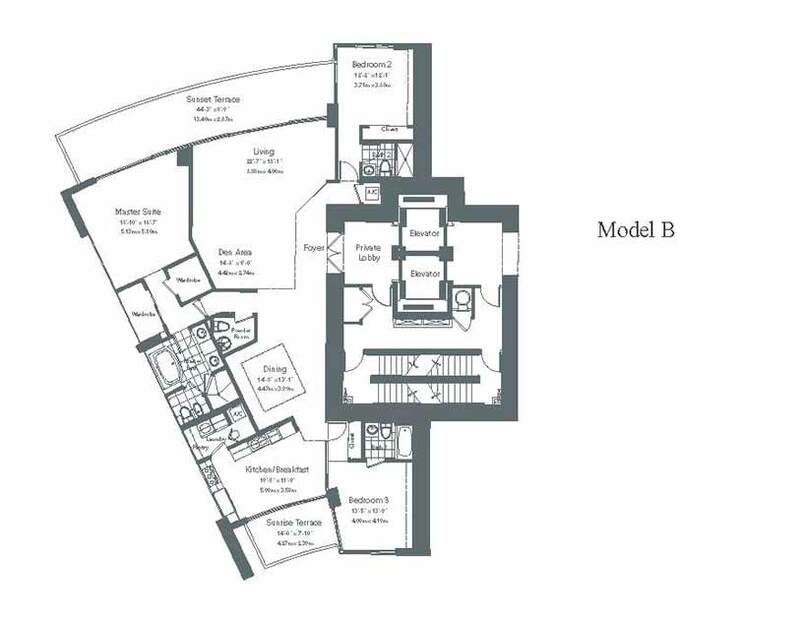 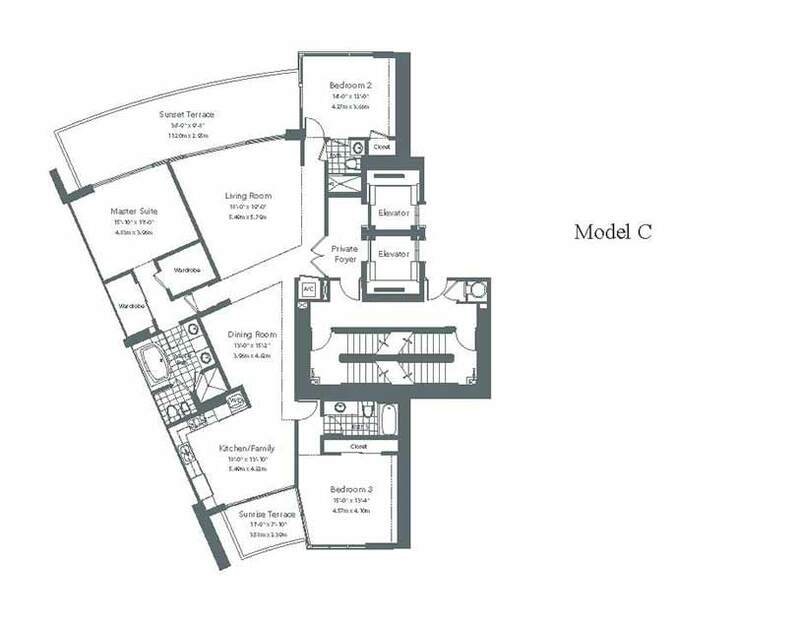 The Murano at Portofino has a private Biscayne Bayfront Beach Club with heated saltwater pool, spa and poolside caf? 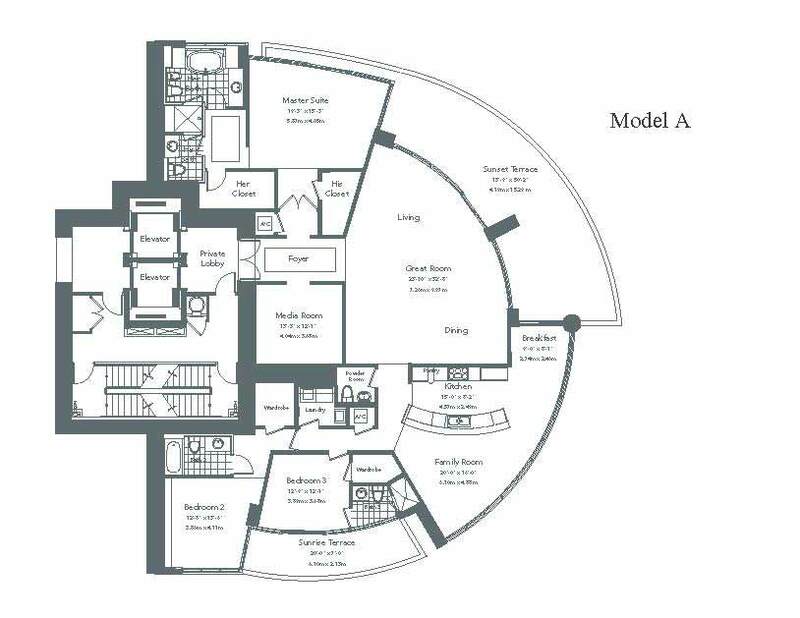 – this all sits along the 600? 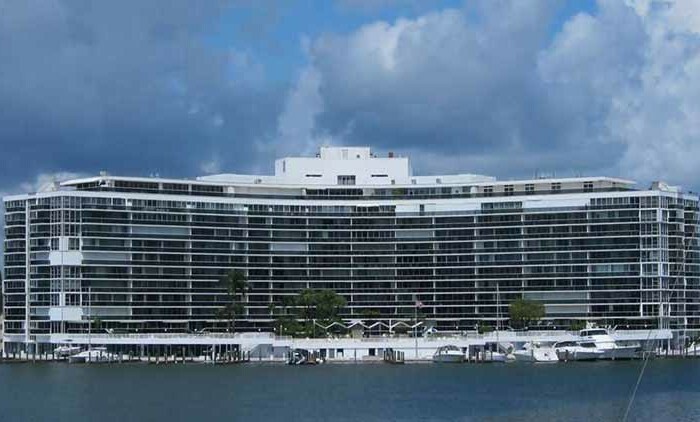 of Biscayne Bay frontage. 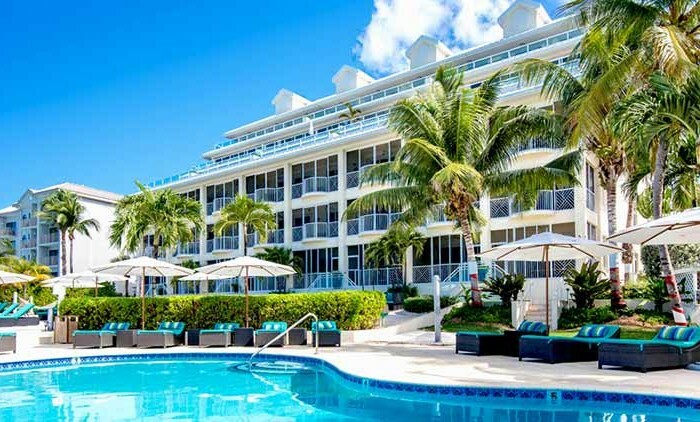 This private beach club, La Piagga, is the premier place to be seen. 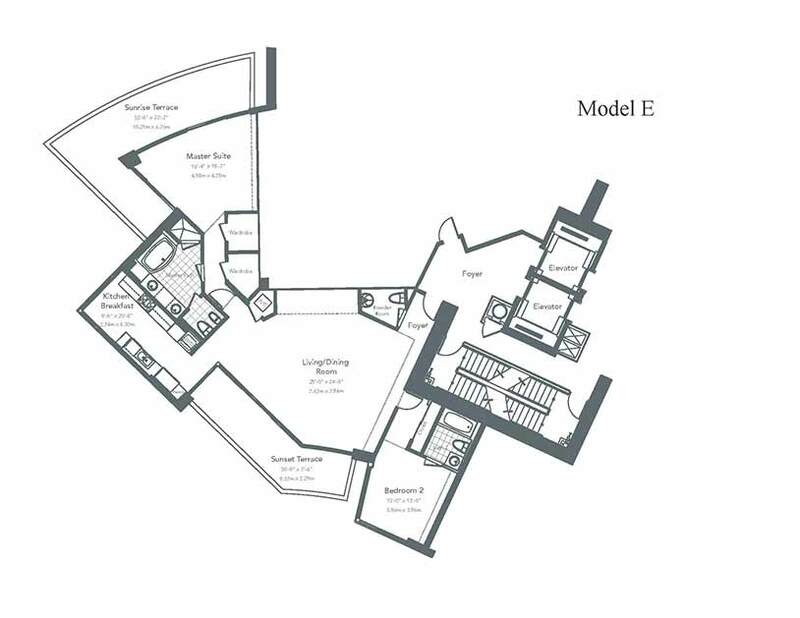 Wander the lushly sculpted 4.5 acre property to find the tennis courts. 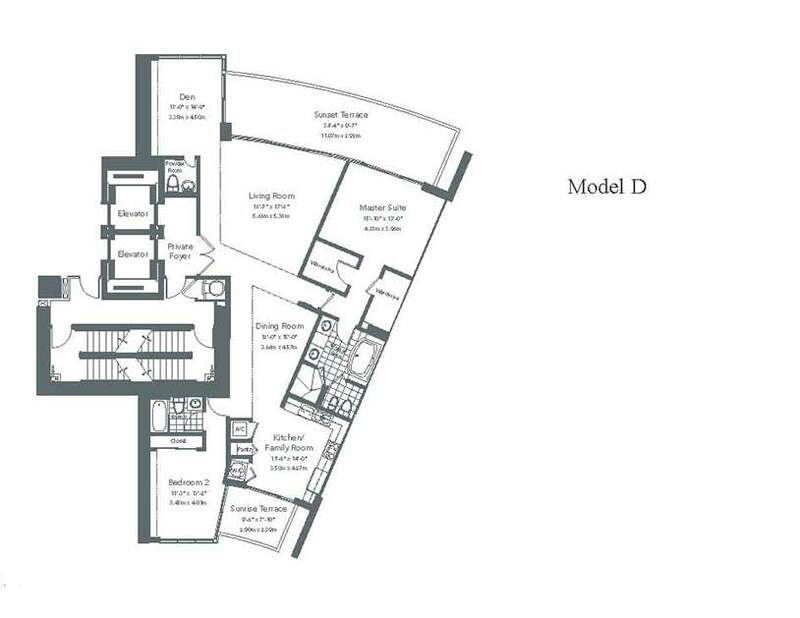 Inside the Murano at Portofino’s tower you will find a two-floor fitness center with a high-tech equipment, a sauna, and steam rooms.